Do you feel the rumble under your feet? Can you brave the climb? Can you go alone or do you need friend? Grab a friend and climb the 24 feet to the top of BLUE CRUSH! 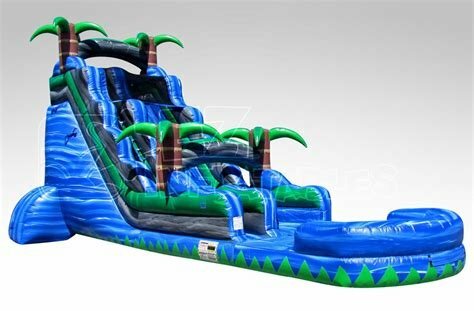 2 DADS LLC BRAND NEW 24foot slide for 2018. Blue CRUSH is perfect for school events, backyard parties, and to add the WOW factor to your next event!